Just got a slew of new tools in. These replace my over used and abused Craftsman tools. I think that is a great value for what you get in the set. 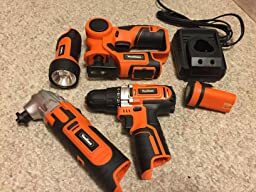 I love DIYI projects and have a list of them I would like to do, so I was excited to get this 4 piece cordless power tool set. This is not a set that I would use in a commercial setting, but for the things I do it works great. I immediately put the oscillating multi tool to use. 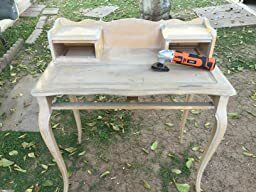 I had a desk that I had found on the side of the road that I have been wanting to sand and stain. 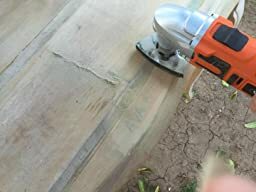 I used one of the attachments that comes with it – the sander head. I sanded for quite a while and the tool did not get too hot. 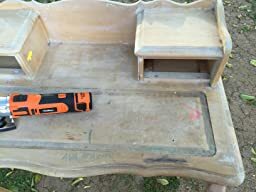 It did a great job, but since there is a lot of sanding to do it is going to take me a while. 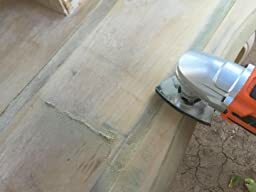 I’ sure this is meant for sanding smaller areas, but it worked for me. 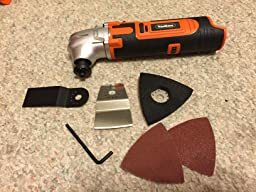 The oscillating tool comes with 2 different courses of sand paper and the sanding head, a scraper, a cutting head, and an allen wrench. 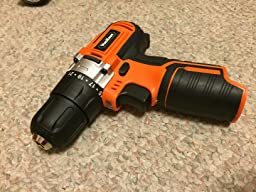 The drill feels like it is well made. It has the regular setting and reverse. 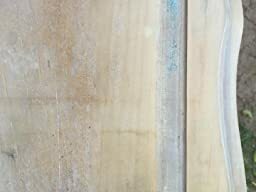 It also locks when you position the button to the middle. It did not come with any bits at all. I was informed that is the norm, but if you don’t have a bit, how is it usable right when you get it? It may be the norm, but I still would have loved to have at least one drill bit. 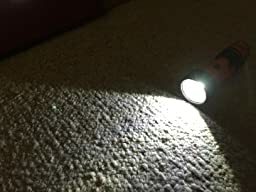 The flashlight is bright, but feels pretty lightweight. 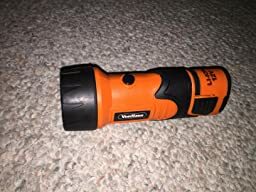 I have some nice heavy duty flashlights, so I will more than likely not use this one. It is always good to have some back ups though. 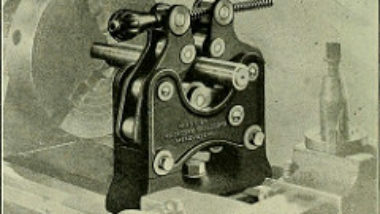 The jigsaw included two blades. 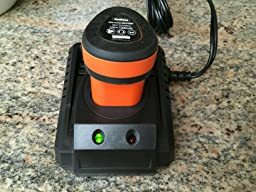 I tested this to make sure it was operational, but I have not had a chance to put it to use yet. I will update this in the future. It does feel like it is well made. 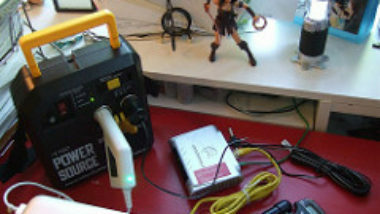 This includes one battery charger and one battery. I like having an extra battery, so I don’t have to stop what I am working on the wait for a battery to charge. 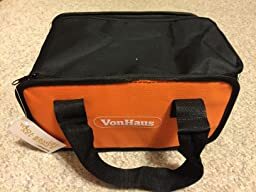 I see that VonHaus has an extra battery that I will have to buy. The charger clearly shows when the battery is charged by the light indicators on the front. All the tools come packed in a carrying case. I had issues with the zipper – it was hard to zip and I had to fiddle with it. The case is handy to keep everything in, but it is not the highest quality. Overall I love the set, even though it does have a couple issues. I think it is a great value for well under $100. I received this set free in exchange for using it and providing my honest, unbiased feedback. I have not been compensated nor do I have a relationship with the seller, so all opinions are my own. I never guarantee a good review, as my reviews are based on the merits of the product. Sooo, my husband has banned me from all of his power tools. I guess I’m what you call “a wanna be do it yourselfer.” If I want something done and there’s nobody there to help me, I’m just going to get the tools that I think I need and try to tackle the job. When I came across these tools, it seriously made my day. I now have my very own set. The first thing that I did was get the battery out and charge it up. It charged pretty quickly. Then, I moved onto that coat rack that I’ve been wanting on the wall. 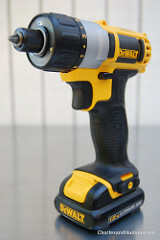 This drill was very easy to use and I did a fantastic job getting the coat rack hung up. 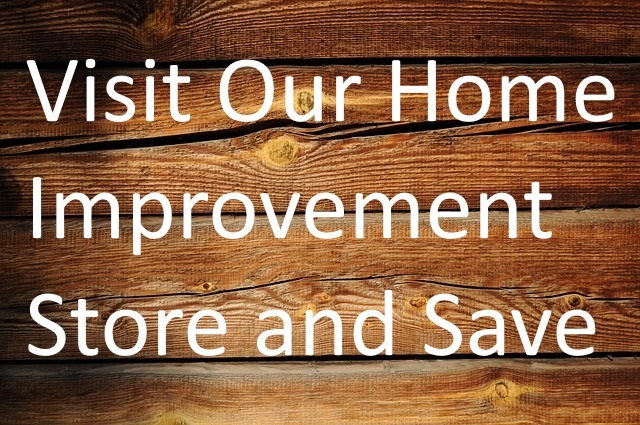 My next big project that I’m ½ way through is to refinish my coffee table and end tables. They have made it through 3 kids and they look horrible. I’m using the oscillating multi tool for this project. It’s very easy to handle and I’m having a blast doing it. We recently bought our home and we have a lot of little trees growing in the middle of the lily garden. They are about an inch or two in diameter and I really want them out of there. I don’t know much about saws but, I sent my son out there with the jigsaw and told him to give it a try. I was sure to google it first and make sure that we weren’t going to break the saw and it said it would work with trees 2 inches in diameter. My son was thrilled to get on this project so, I sent him out there and I am a happy woman. The trees are finally gone! And the flashlight…We can always use another flashlight! It works great and I love the fact that it shines so bright! I am SO happy with this power tool set. 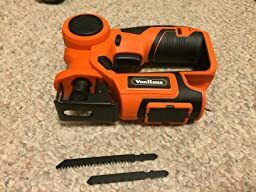 This has made a great beginner set for me and I’m learning to do all kinds of handyman things around the house. I can’t wait to see what else I accomplish! *Disclaimer: I received the product mentioned above for free or at a discount for my unbiased and honest opinion. I was not financially compensated in any other way for this post. 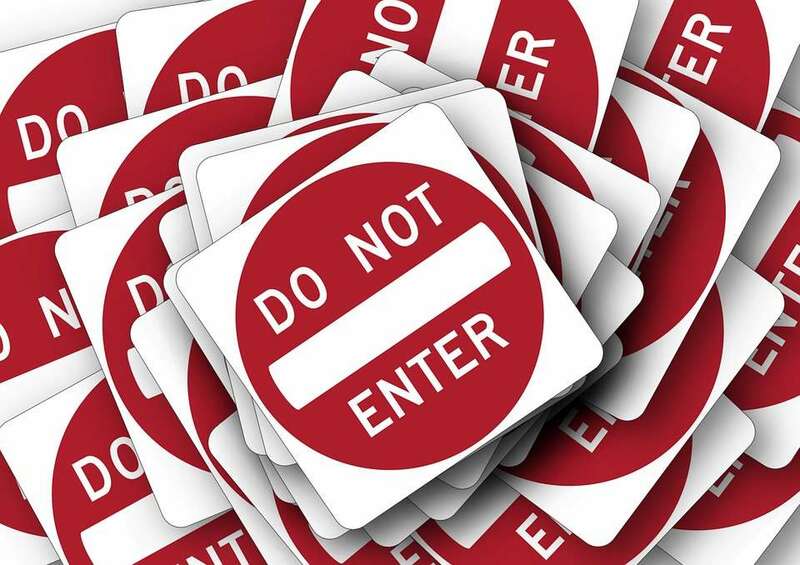 The opinions are my own and based on my personal experience with the product. I have no idea. I probably have a couple grand in all my tools. If you don't mind me asking, how much did all that cost?